In Monster Hunter World you’ll need to gather Coral Crystal and Dragonite Ore to perform upgrades on several weapons. There are mining nodes that can provide these resources for you, but they’re not the easiest to find. 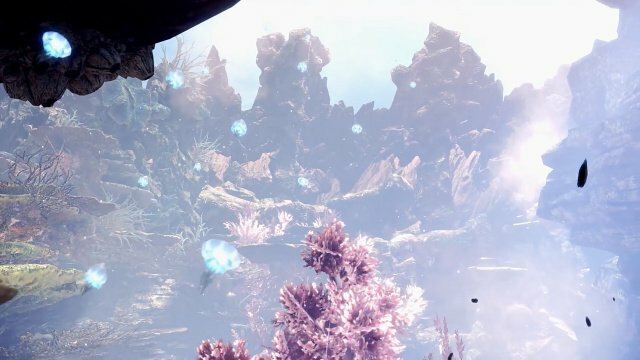 Below we’ll tell you the best place to mine Coral Crystal and Dragonite Ore in Monster Hunter World, and how to get there. Both Coral Crystal and Dragonite Ore can be found in the Coral Highlands. You’ll have to be a little ways into the game before you gain proper access to this area, so you may have to wait a bit before you can start gathering these materials. North of zone 8 near the passage to zone 10. In zone 11 near the shortcut from zone 10 to 11. There are likely more mining nodes in the Coral Highlands than these, and you’d do good to keep an eye out on your travels. What Items Need Coral Crystal and Dragonite Ore in Monster Hunter World for Crafting? So far we’ve found a few recipes that need either Coral Crystal or Dragonite Ore to craft. There are more items out there that will need these two materials to craft, and we’ll add them as we find further recipes. For more Monster Hunter World guides, check out our game hub or see the articles below. Monster Hunter World Cross-Platform: Does it Have Cross-Play?